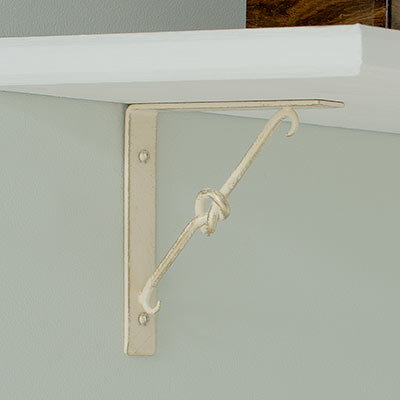 Provide personality to your scheme by using these delightful, hand forged, metal Knotted brackets to fix your shelving. 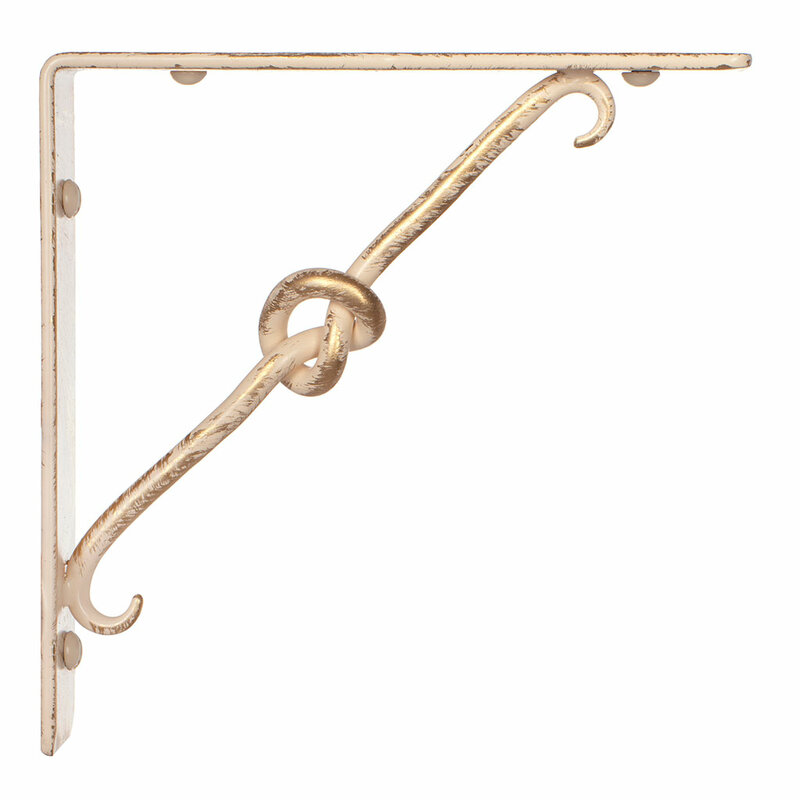 Made with typical Jim Lawrence attention to detail, each bracket features a pretty hooked end with a small knot in the middle that will look at home in any traditional, country or modern kitchen or bedroom. 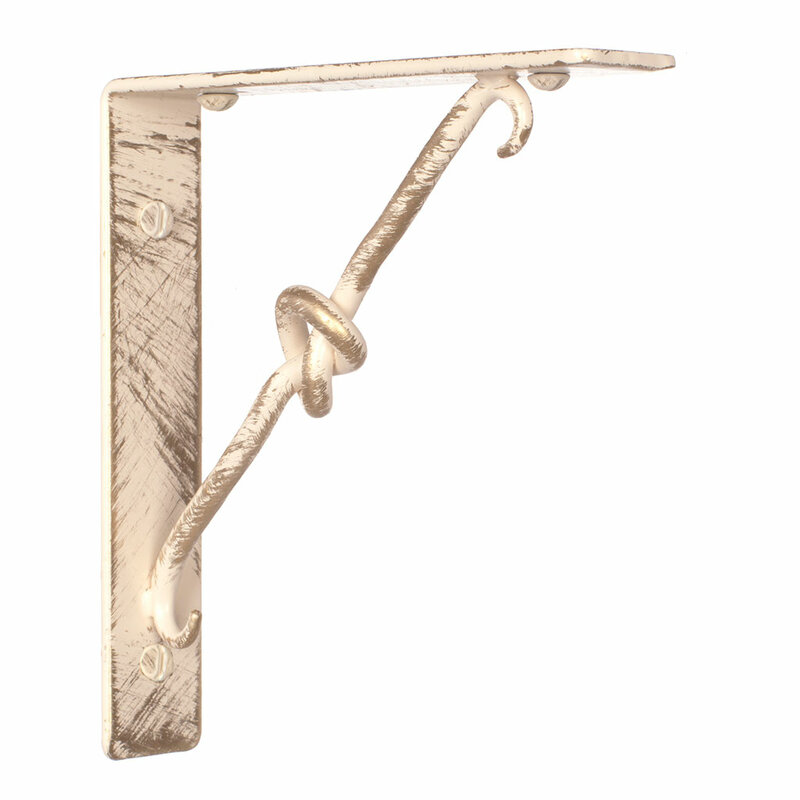 Our old ivory brackets are hand forged from solid steel which is overlaid with gold paint and an ivory top coat that is carefully distressed in places to reveal the gold underneath. 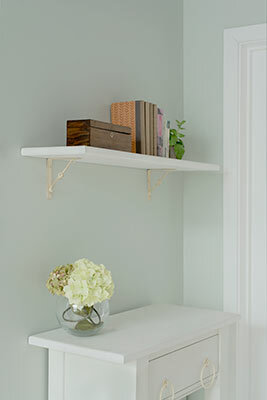 This gives it a soft, shabby chic finish that will look good in any traditional or contemporary setting. 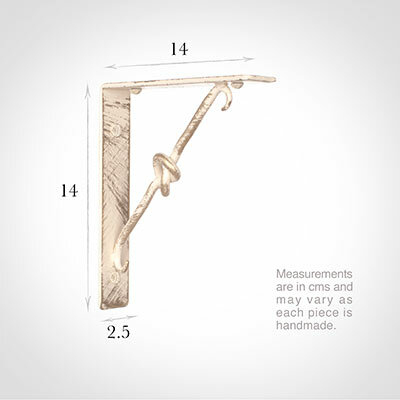 They can be used on their own or to complement our knotted cupboard and draw handles which are available here. The Knotted Shelf Bracket is 14cm high x 2.5cm wide and 14cm deep and comes supplied with fixing screws in the same finish. 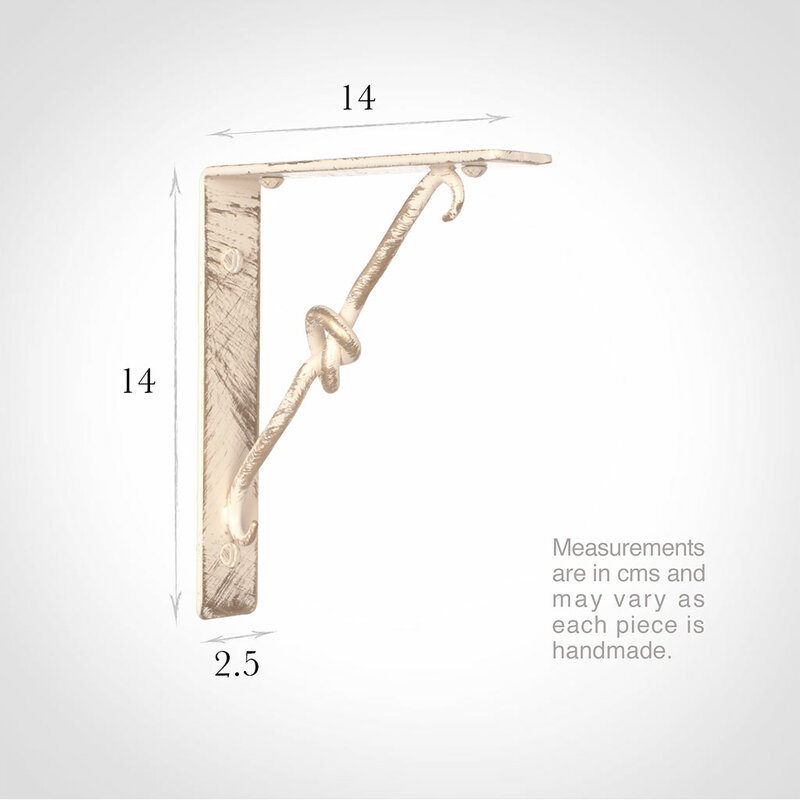 It is also available in our beeswax, polished, matt black and plain ivory colours. I had some of these brackets made without the centre knot, and am pleased with the result. Having them handmade does make them look a bit special. 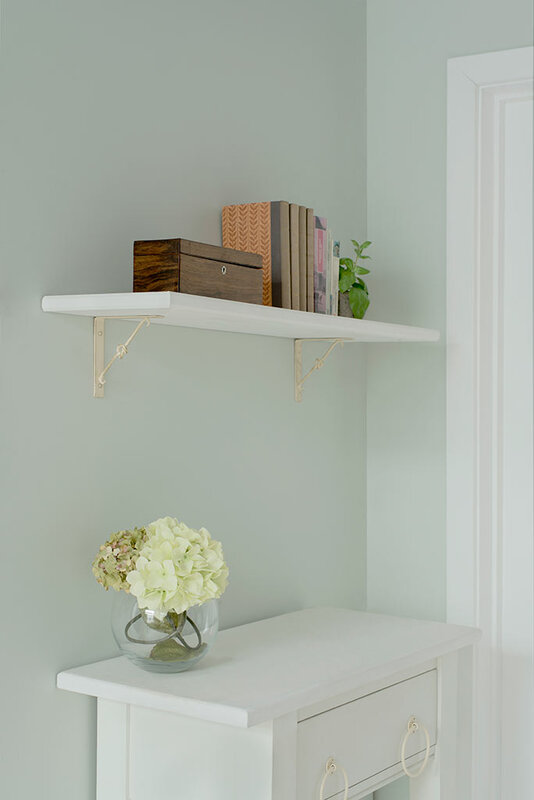 They're nice and robust too, so support some heavy oak shelves without a problem.